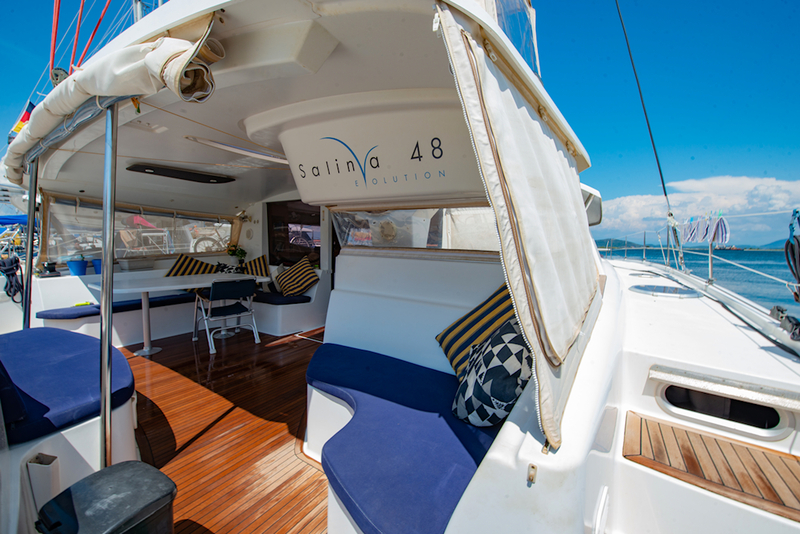 “Zee Kiwi” is a rare Owner’s version of the Salina 48 Evolution by Fountaine Pajot, now waiting for you in Preveza, Greece. 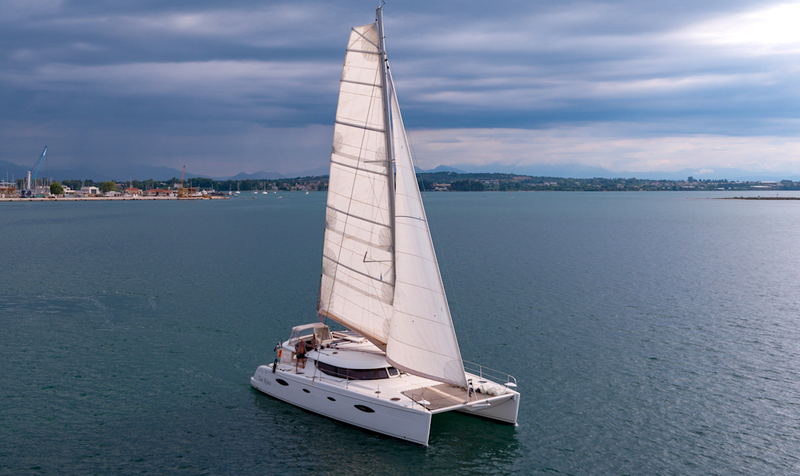 This is the ideal size for a couple or family planning to blue-water sail, with full autonomy, safety and comfort all the while achieving good speeds. 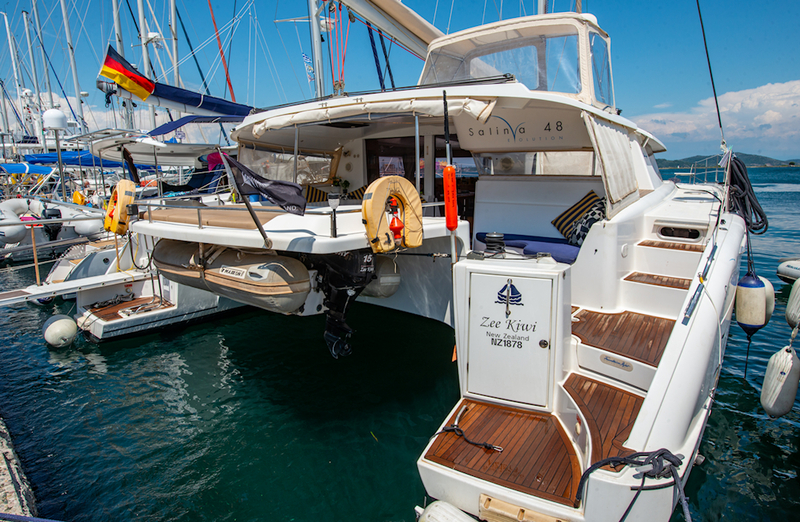 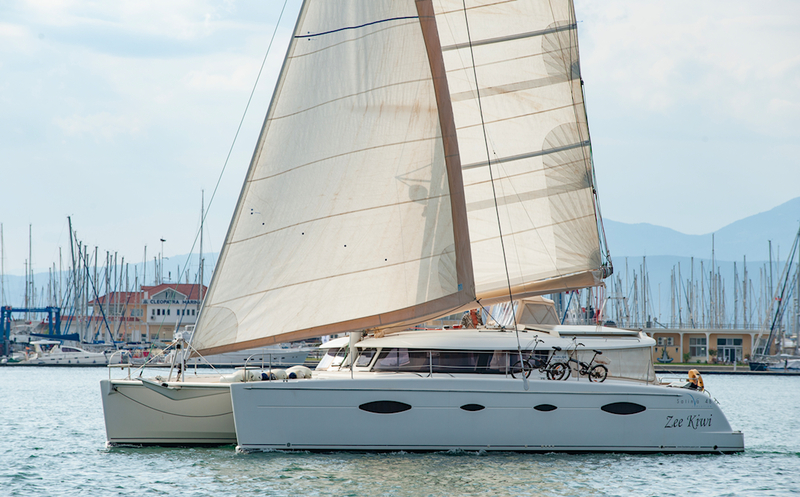 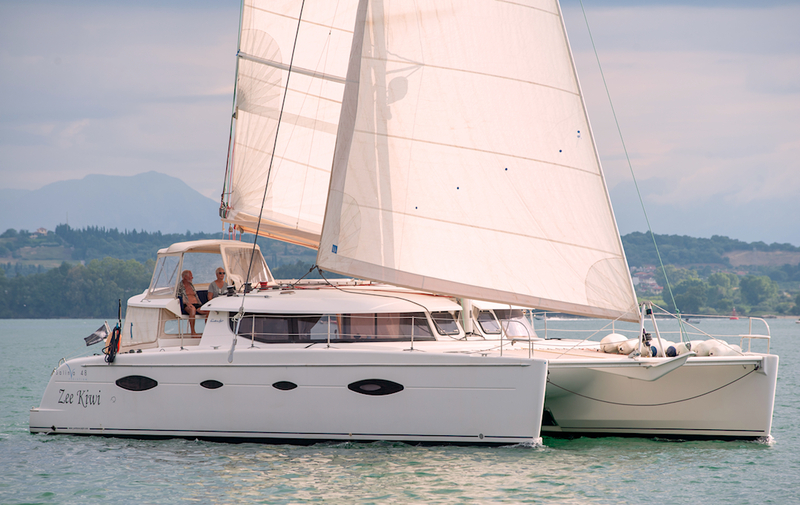 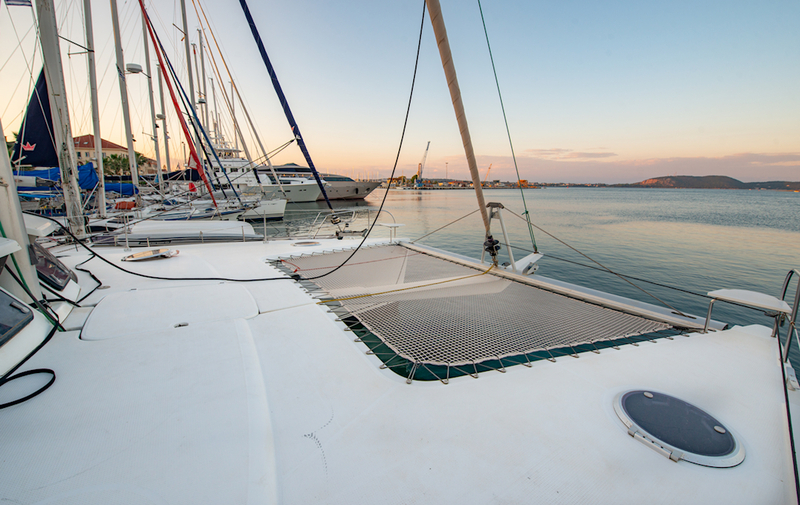 Start your cruising adventures in the Mediterranean on this very well looked after sailing catamaran. 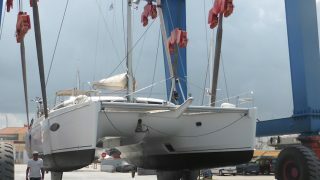 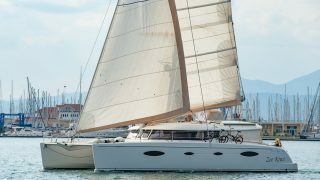 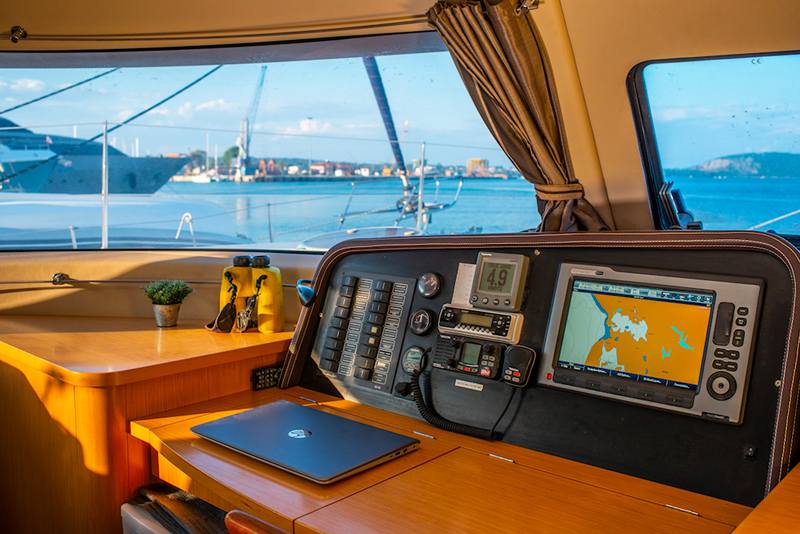 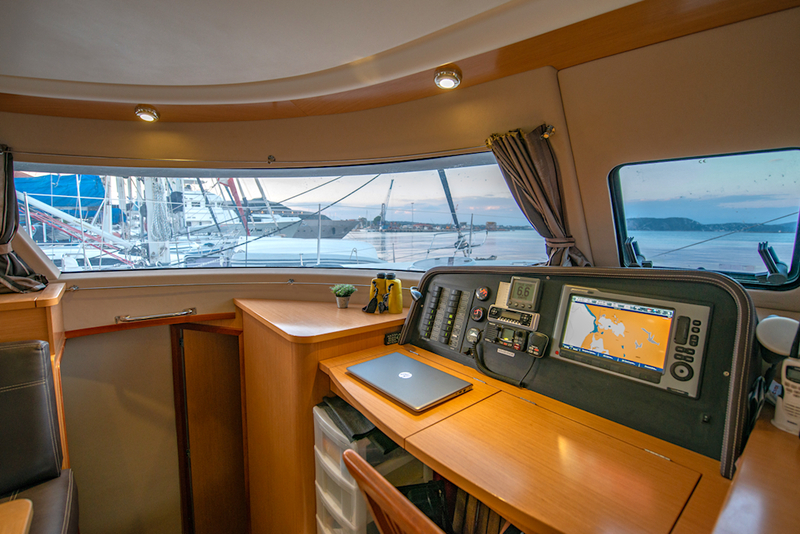 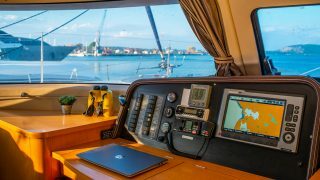 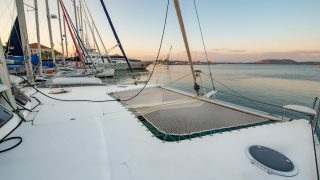 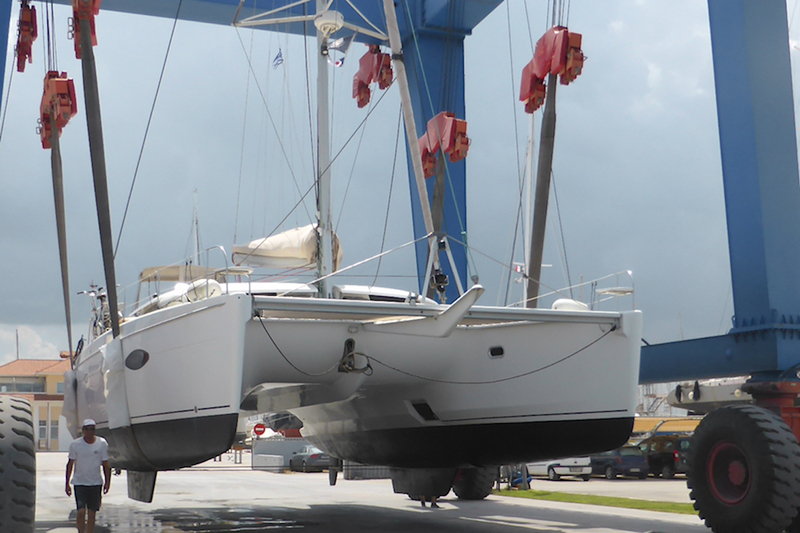 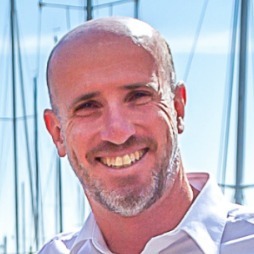 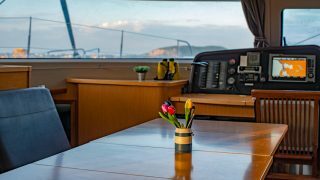 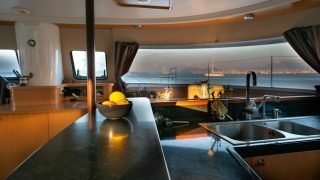 The current and only New Zealand owners took delivery of her ex-factory in La Rochelle, France, cruising the Mediterranean for the summer season and storing her in winter. 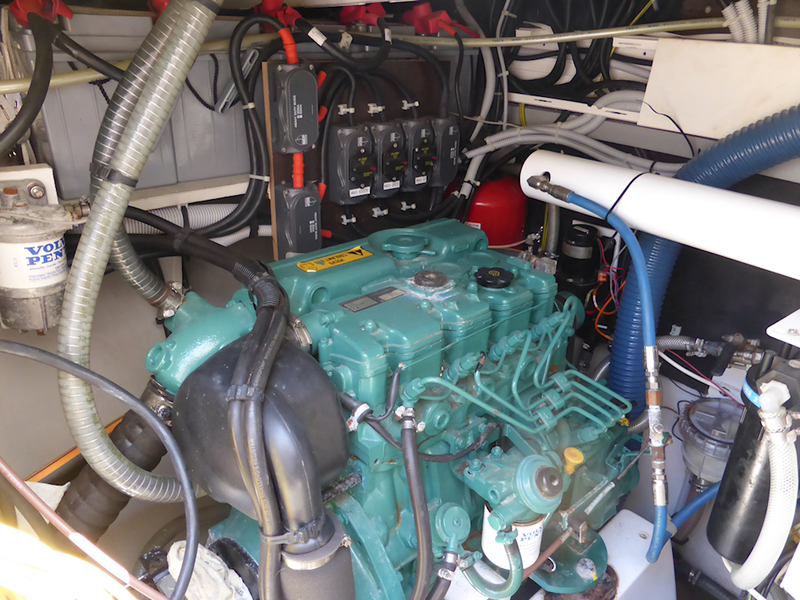 As a result she has been very well maintained and her engines show only just above 1000 hours! 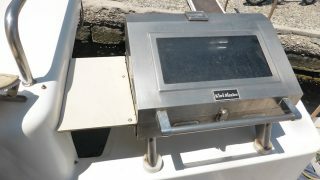 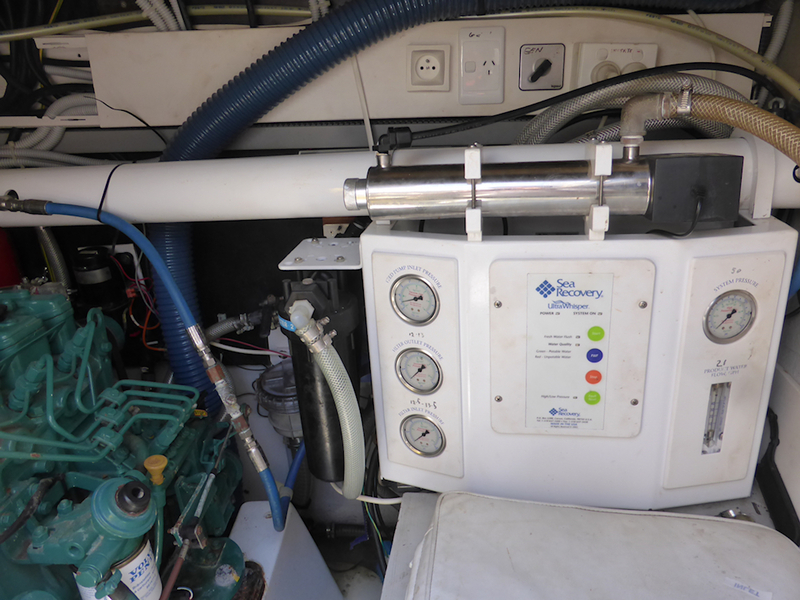 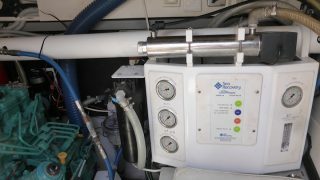 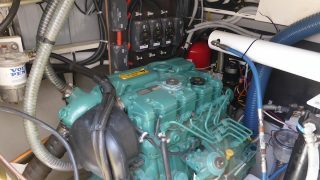 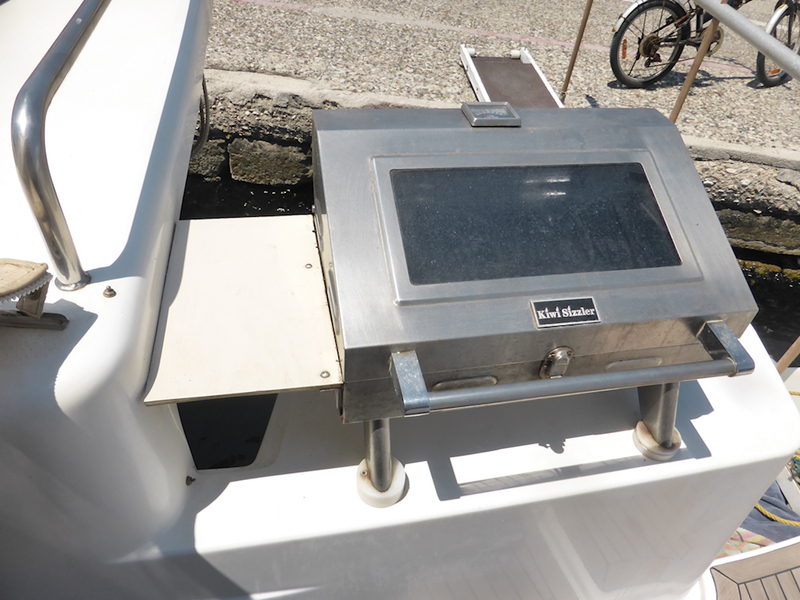 This model comes fully equipped with genset, solar, watermaker, washing machine, gennaker on bowsprit, Raymarine electronics array and more. 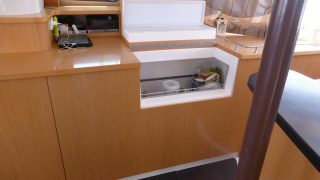 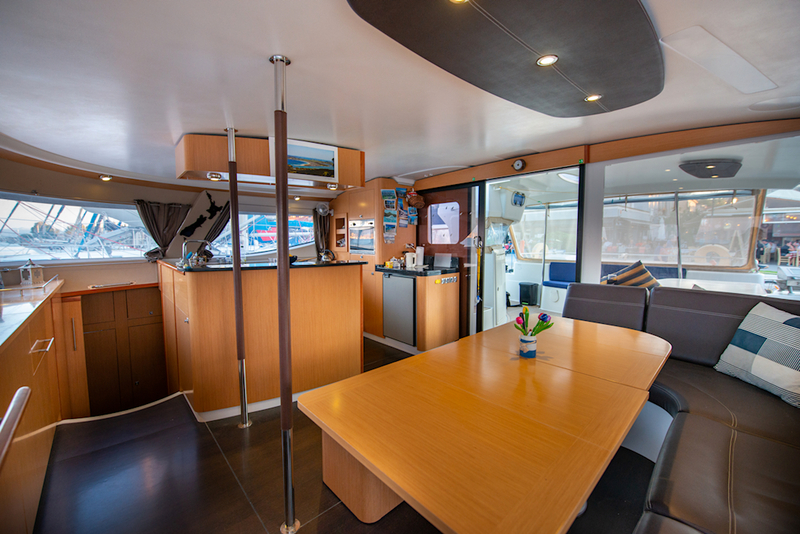 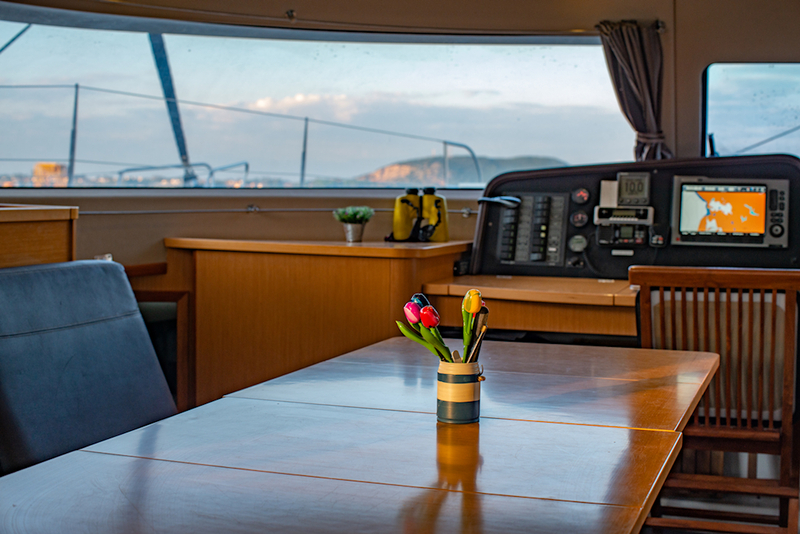 Designed by architects Berret Racoupeau, this sleek sailing catamaran replaces the original Salina 48 model, and was strategically planned to impress with a stunning new interior design, improved helm station, upgraded galley and roomier hulls. 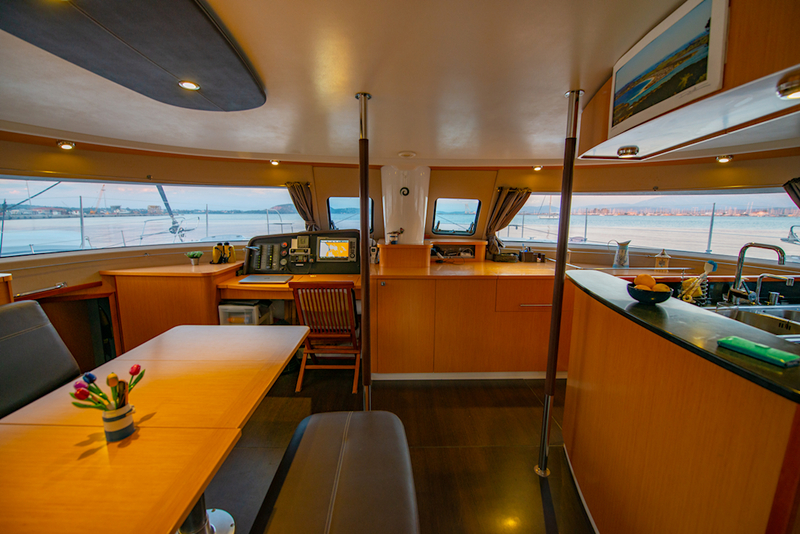 Her helm is at the roof bulkhead, the centre of gravity maintained low and ease of communication between cockpit, saloon, galley and helm as opposed to models with flybridges. 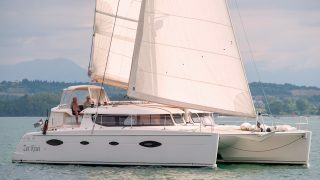 This also ensures minimum pitch in choppy conditions. 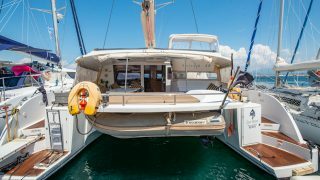 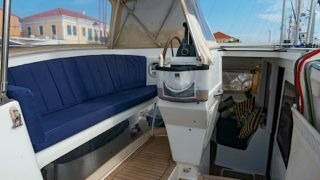 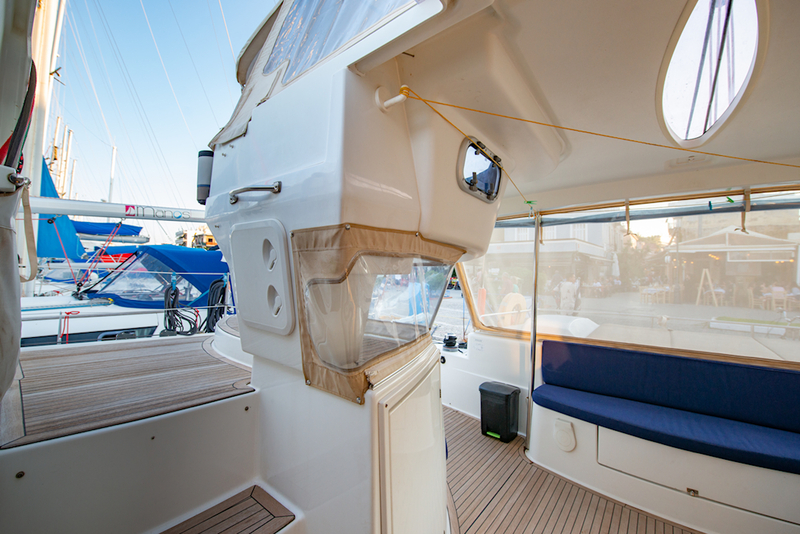 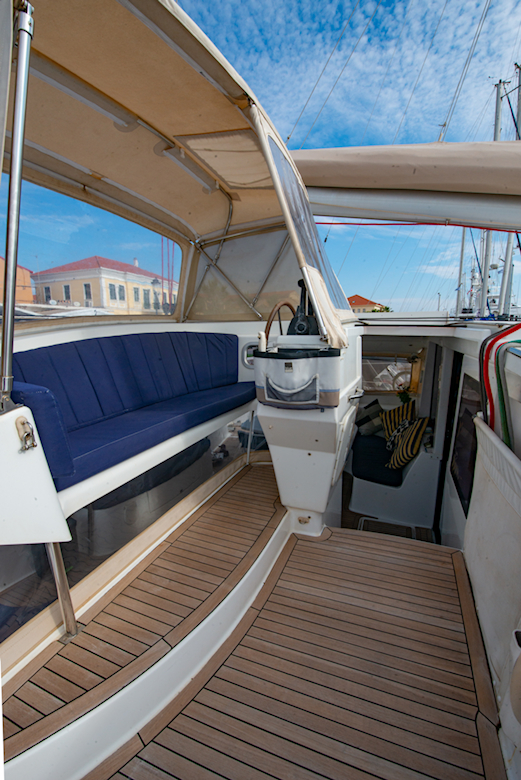 Her tender is protected by the spacious sun lounger on the deck, the perfect place to read out of the wind while underway. 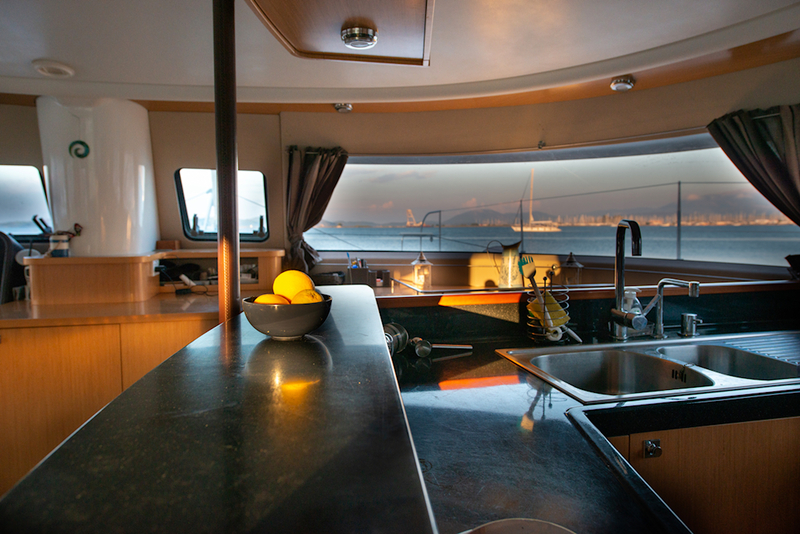 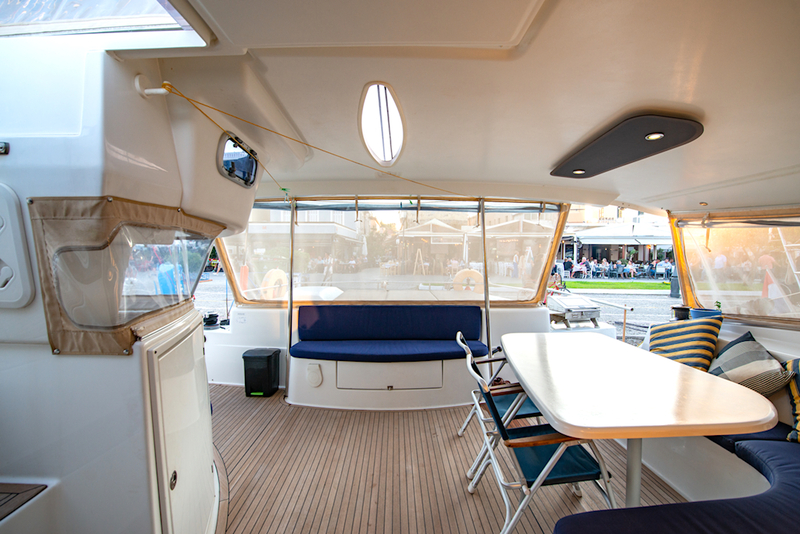 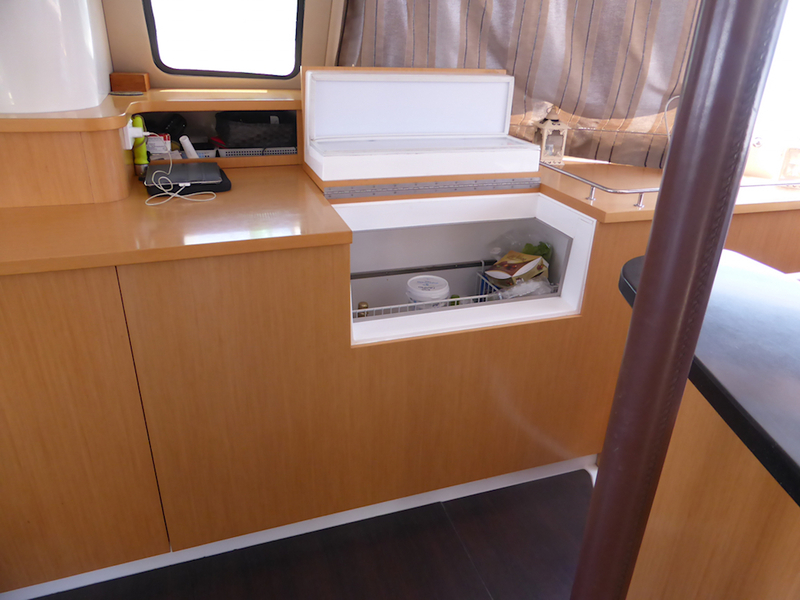 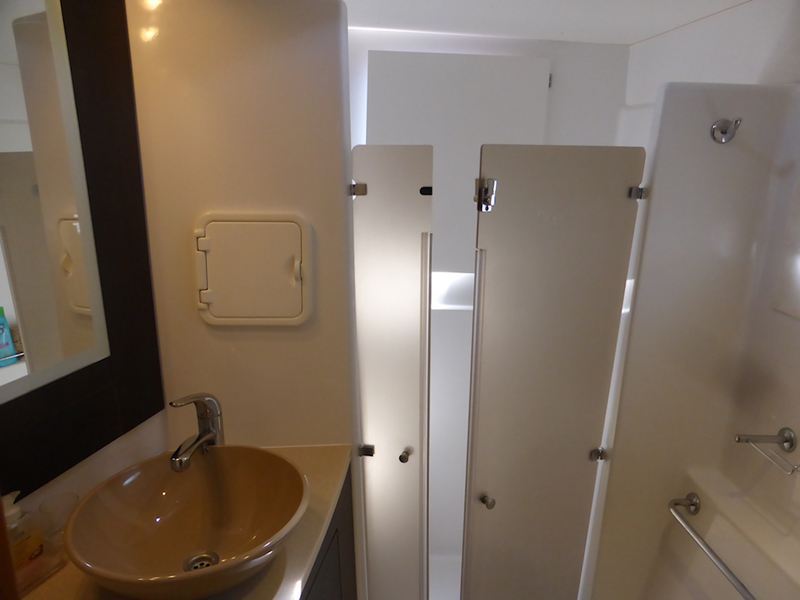 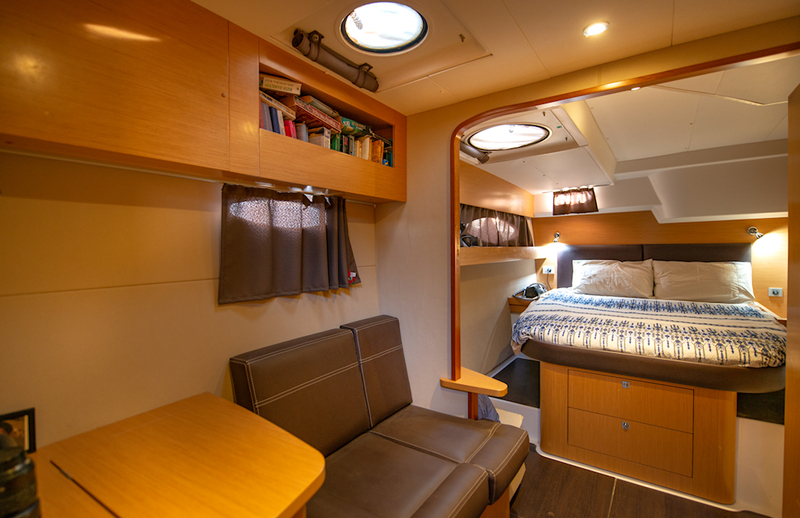 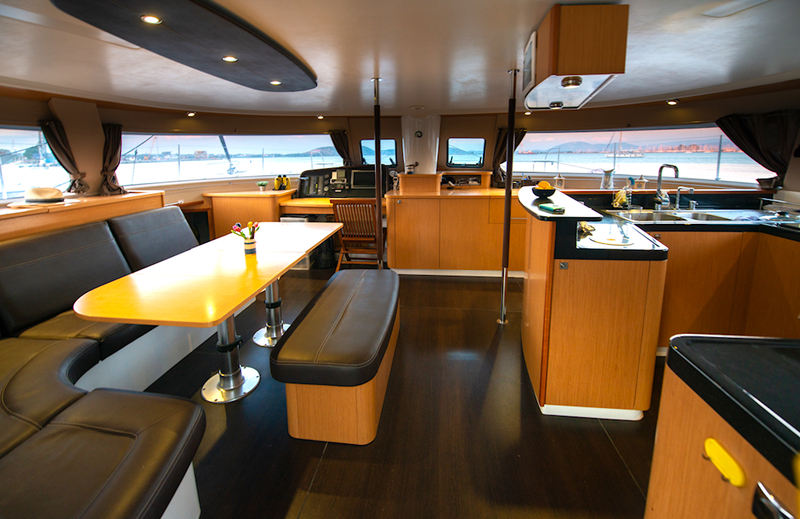 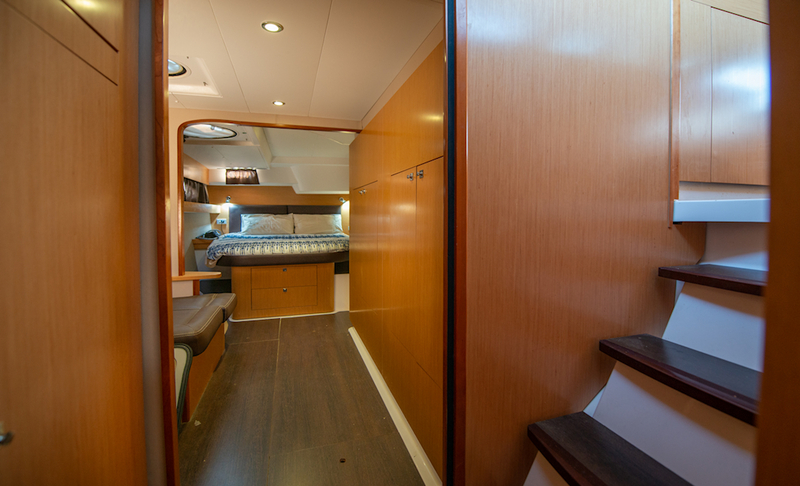 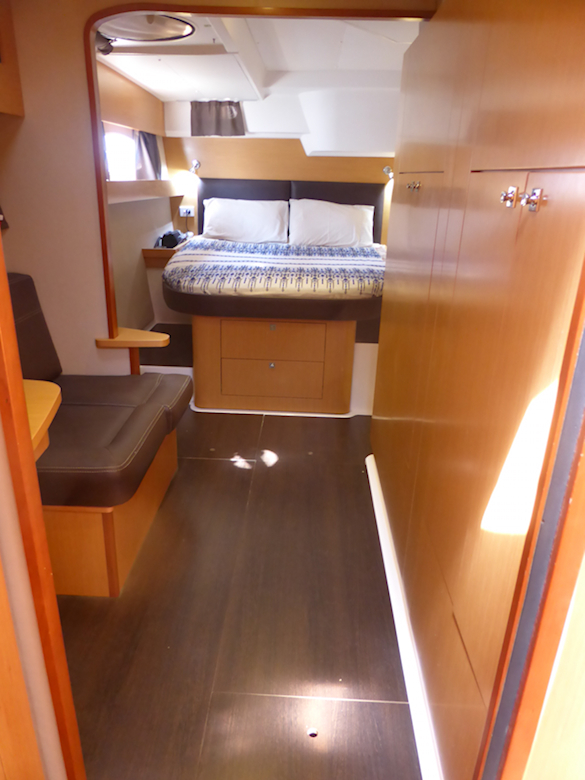 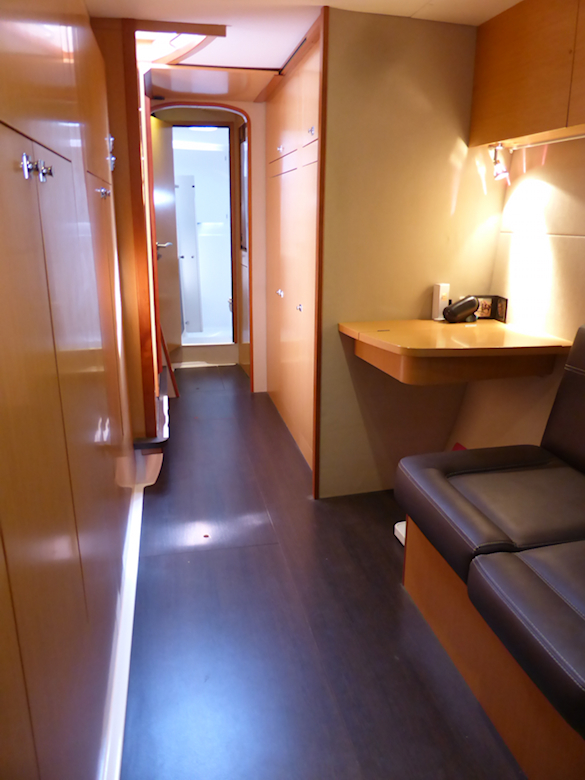 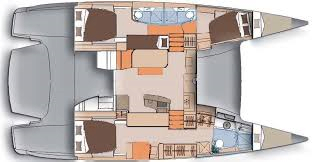 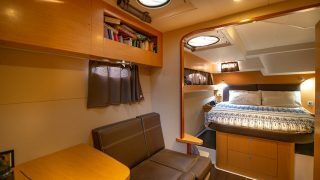 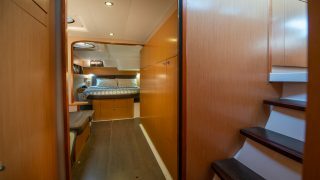 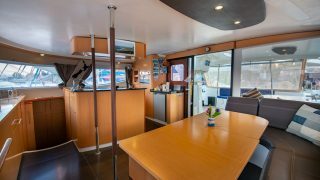 Inside you will enjoy plenty of space with a wide luminous saloon and gourmet kitchen with plenty of storage. 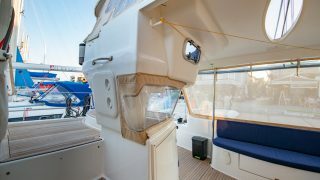 The cockpit is on the same level to gain uninterrupted communication and great 360-degree views! 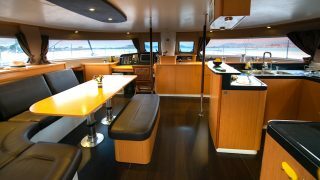 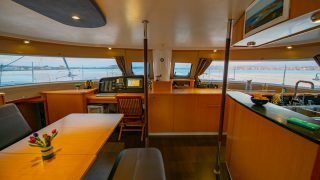 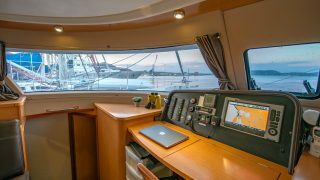 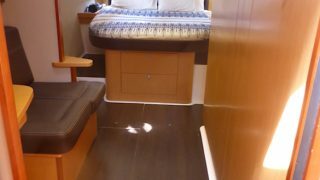 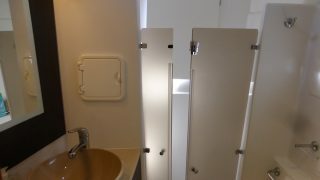 Her accommodation will surely impress with her large Owner’s stateroom, island beds in the aft cabins and plenty of storage. 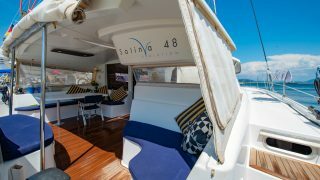 The Salina 48 Evolution offers 136m2 of sail area and well-designed hulls to keep the performance to the satisfaction of two other proud Salina owners, founders of the Fountaine Pajot brand Jean Francois Fountaine and Yves Pajot. . 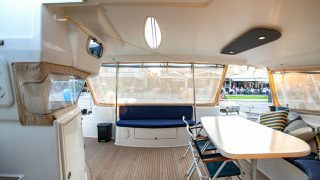 The Evolution model has been manufactured with new technology including infused sandwich composite hulls plus a deckhouse moulded with new RTM eco-technology. 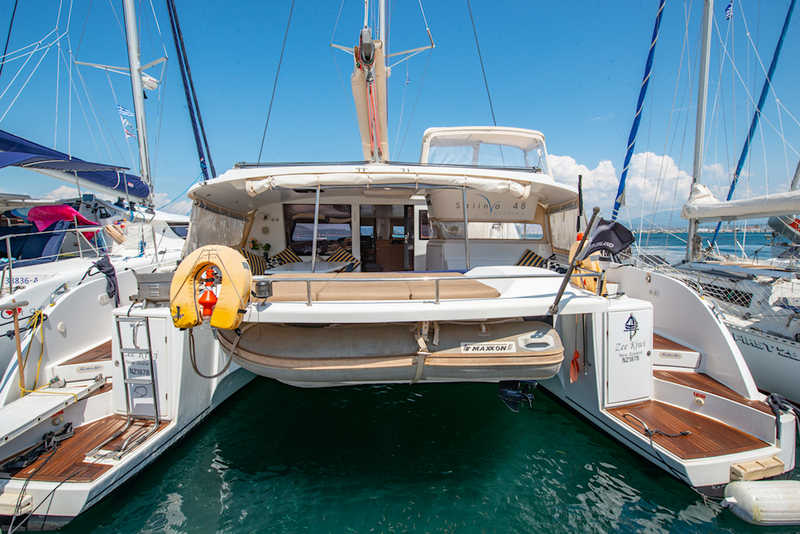 Contact the team at Multihull Solutions today for more information.